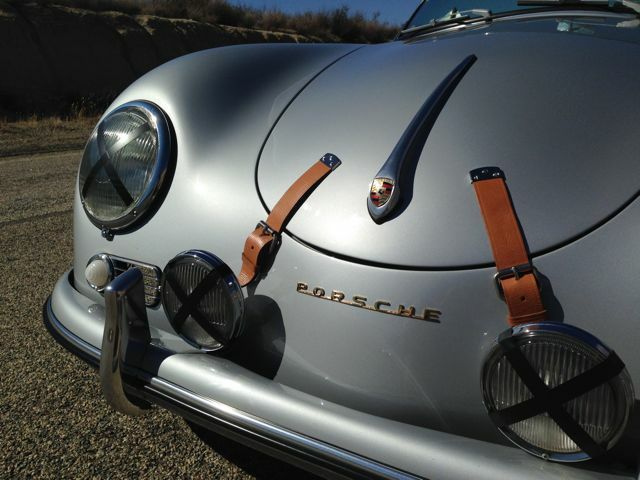 I am a somewhat experienced leather craftsman and have been thinking about making replacement parts for the leather straps that I sometimes see on the hoods of old 356 and 550 spyders. But to be honest, I'm not sure if the kinds of straps I see were standard equipment on these older cars or if they were added as aftermarket accessories. If these kinds of straps were factory accessories, I'm curious to know where I can find more information. Given some measurements and access to the mounting hardware, I'm sure I could craft authentic reproductions. If these straps were not factory original and indeed were aftermarket accessories, I guess crafting them could be subject to my own personal design. I've seen several offerings on eBay and through the shops of other leather craftsmen. If anyone has any information about these kinds of straps, I would love to know more.